Dad said, "What do you want me to do, while you make cookies?" 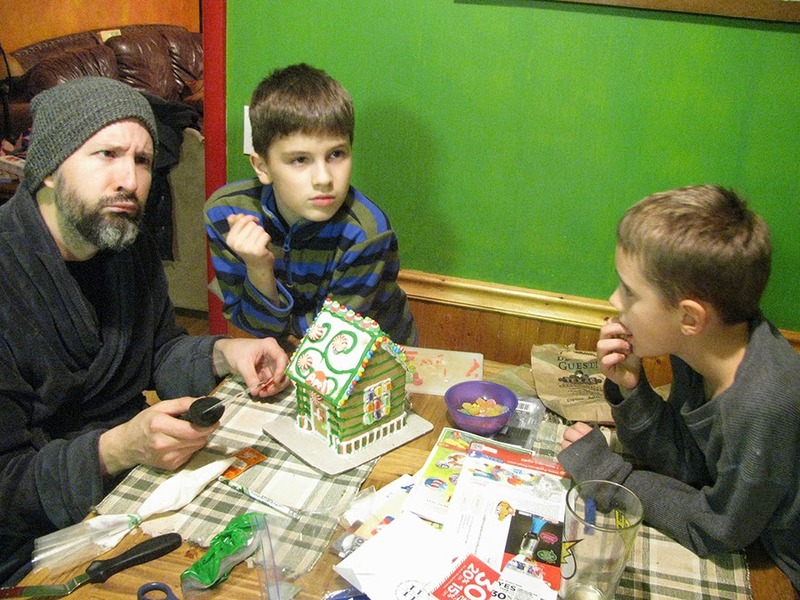 I told him, "Put together the gingerbread house, and I'll decorate it." Well he opened it up, and it was all together. He said, "Ok then I'm just going to decorate it then." That's what the boys did. I did hear some disagreements about how things were going to look. They are my sons. Whenever I asked for a photo they A) Were not looking. B) Were moving. or C) Made funny faces. BUT beggars can't be choosers. They got the project done. Plus it looks nice. I have a family of silly face people too. It is pretty fun. They did a great job with the gingerbread house. 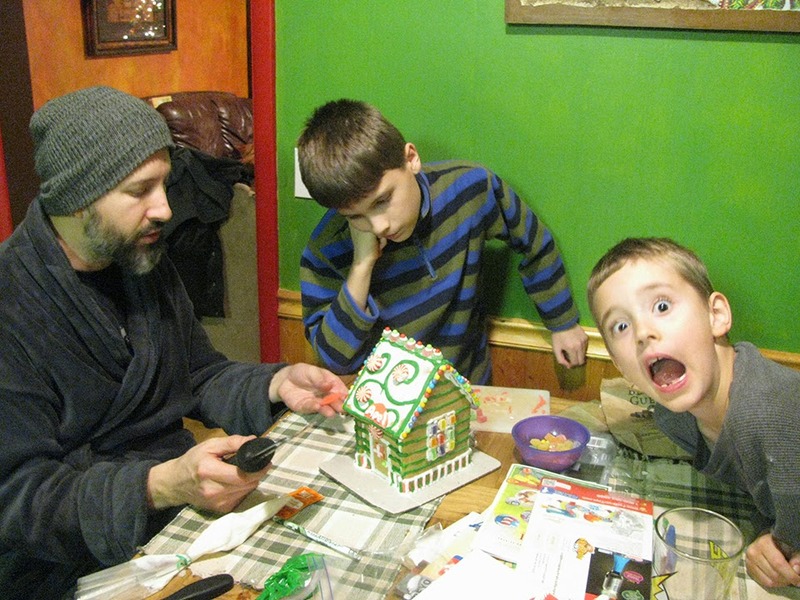 Sometimes I have trouble getting my family to cooperate when I take photos of them too. It is especially difficult to get boys to sit still for a photo. Have a terrific day! we need to do this!!!! Is it just for looking at, or do you eat it? my son Bo get to the point of doing the same thing whenever I try to take his pictures :)...great gingerbreadhouse :)..look at all those details..